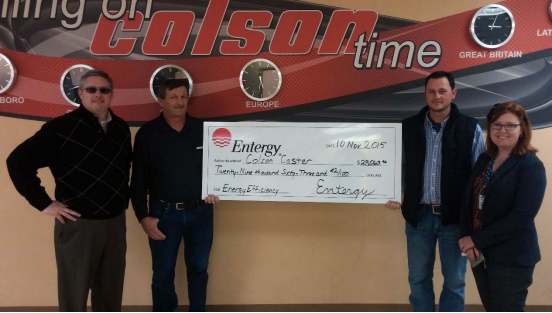 The Colson wheel plant in Monette, AR receives $29,063 from Entergy Arkansas for Energy Savings. MONETTE, Ark. 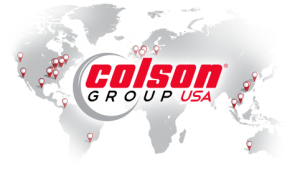 – Energy efficiency incentives from Entergy Arkansas, Inc. are helping Colson Group USA save money by reducing the amount of electricity required for operation. Participating in Entergy’s large commercial and industrial program resulted in $29,063 in incentives and saved about 445 thousand kWh of energy annually. That is equivalent to avoiding 307 tons of carbon dioxide being released into the atmosphere or removing 65 vehicles from our roadways. 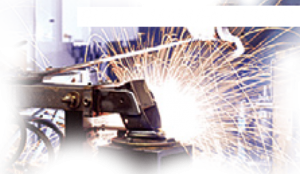 The project scope included the purchase and installation of two servo-motor-driven hydraulic injection molding machines. The servo drives can vary the pumping speeds, which make them up to 35 percent more efficient compared to conventional drives. “Taking steps to be more energy efficient helps not only Colson Group USA bottom line, but all Entergy Arkansas customers by reducing the overall demand for electricity,” said David Burnette, Entergy Arkansas’ customer service representative in Monette. “Entergy customers who’ve participated in our energy efficiency programs have helped us defer the need for one 500 MW power plant,” said Burnette. Entergy Arkansas has an award-winning portfolio of energy efficiency programs for both residential and business customers. To learn more about these programs, visit http://www.entergyarkansas.com/energyefficiency. 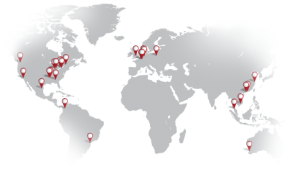 Colson Group USA, based in Chicago, Illinois, can trace its history back to 1885. 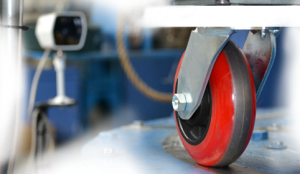 The plastics division that is located in Monette, Arkansas, manufactures casters to support the material handling industry. They proudly advertise as “made in USA”, and they have been a valued business partner of the Craighead County community since 1976. 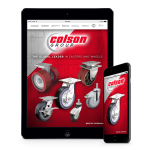 To learn more about Colson Group USA, visit www.colsoncaster.com. The check presentation was attended by (left to right): Chris Murphy, Entergy Business and Economic Development; Jack Birdno, Colson Monette Plant Engineer; Bishop Sparks, Colson Monette Plant Manager; and Jennifer Diaz, Clearesult program Specialist.